Hello hello, I’m Amanda and I am and (think) I always have been addicted to yarn. Welcome to Amanda’s Woollen World where anything is possible! I handcraft custom yarn gifts, help other yarn lovers find super special yarn and well, for yarn wannabes I teach knitting and crocheting too! What do I do in my down-time? You might say I am a bit beach obsessed! 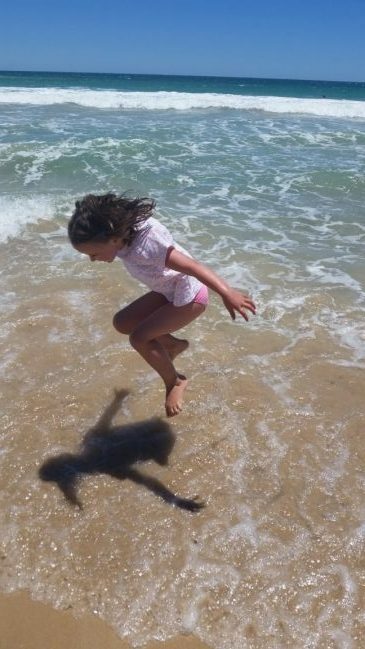 I am mum to my daughter and she takes after me on the beach front! We are both members of Surf Life Saving Australia and Sunday mornings in summer see us both joining in Nippers – our favourite time of the week! I also love finding little coffee shops and if they have a view of water be it the ocean, a lake, a river or a swimming pool then so much the better! If I could do this then I would have included a picture of me…but I have to leave the gymnastics to my side kick these days!! You might be wondering how long I have been in love with yarn for? Well since I was a little girl, when my beautiful Mother first taught me how to knit – the first things I made were scarves….for everyone!!! Mum, Dad, my brother, the toys! You name it! The holes became fewer and further between and I graduated to other wonderful creations – all the new babies in the extended family received beautiful little cardigans and so on!! 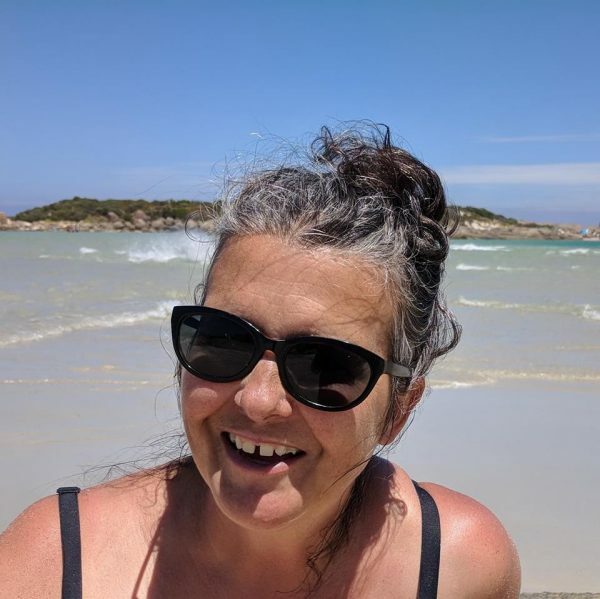 I continued with this and then life got busy – funny how that happens – I finished school, went to Uni, became an accountant, emigrated to this beautiful place I now call home and finally settled down and welcomed my daughter into the world. That’s when Amanda’s Woollen World emerged! I wanted to be at home to savour the milestones and enjoy my little one growing up but needed something to get stuck into. I taught myself to crochet as I wanted to be able to make toys! My small business is constantly evolving as I find new ways to learn and new products to make and share. I could not always find the colours and types of yarn I wanted in the shops (and there is not much choice where I live) so I then decided to start dyeing my own yarn – until this stage I would have said I didn’t have an artistic streak in me – but I love coming up with new colourways and experimenting with different yarn types and making special One Of A Kind yarns! These days I always seem to be going round in circles winding yarn!! But it always looks and feels great and I do like there to be no tangles in my skeins! I also love (and always have done) teaching – and so I have also recently started teaching other lovely ladies (open to teaching men too!) to crochet and so once a week we meet at Wise Old Owl Craft and have a good old natter and crochet session. This is one of my favourite things! 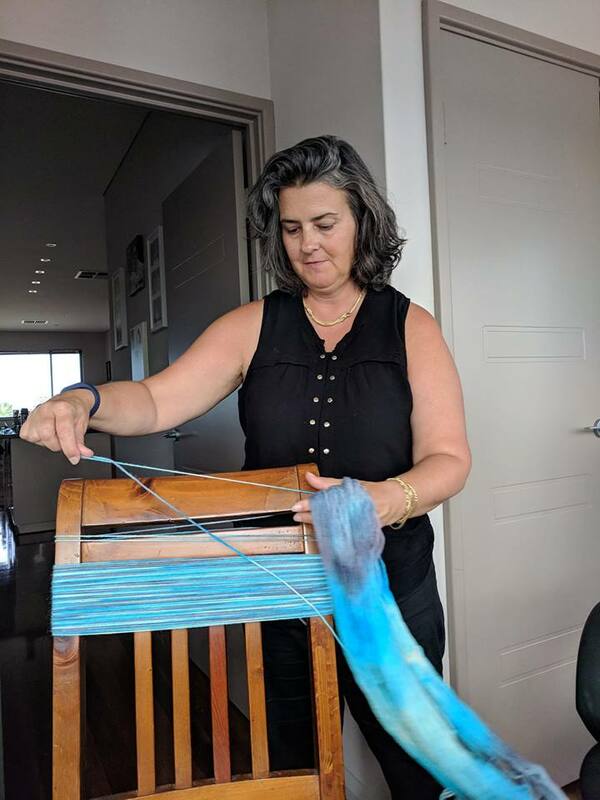 By the way, if you’re local to Mandurah and love craft, then pop on over and pay the lovely ladies at WOO (as we call it affectionately) a visit – not only can you buy my yarns there but you can learn a whole host of new crafts and purchase all sorts of supplies!!! It’s a haven if you have a crafty bone in your body! So in short, I love all things yarnie, making, dyeing, shopping for, teaching and wearing!! If you have any questions or long to see something on here please don’t hesitate to contact me and let’s chat. Oh and did I say, I LOVE COLOUR!!! 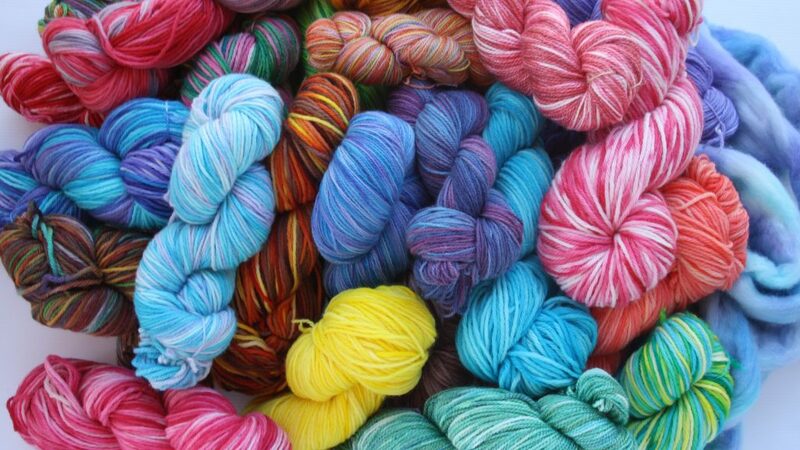 Here’s a yarn rainbow!! Most of the things I make are one off creations, and are made to order so your choice of colour which is often a bonus! Some things on the web site are ready made but this will be clear on the item. If you would like to order something which is out of stock, just pop me a message!! If you see something you want and you want it in a different colour then please just pop me through a message and we can discuss. If you want to see more of what I make, then head on over to my facebook page! If you have any questions, feel free to ask away and I look forward to hearing what you want to see! !